Mernda Central Wetlands is a newly constructed catchment in Mernda. UDL constructed the landscape works for this project. 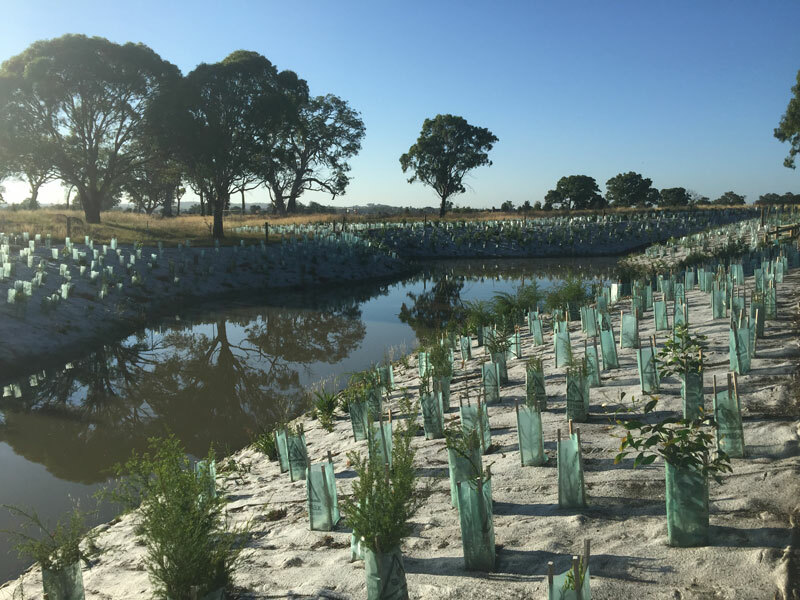 The works had over 50,000 plants go in, 30,000m2 of native grassing, 5000m2 of granitic sand paths, 4000m2 of jute matting to batters and a steel bridge for access across the south east side of site. Farm fencing and tree guards are required due to the amount of kangaroos and rabbits living in the grounds. Melbourne Water, Parks Vic and the client were very happy with the outcome.